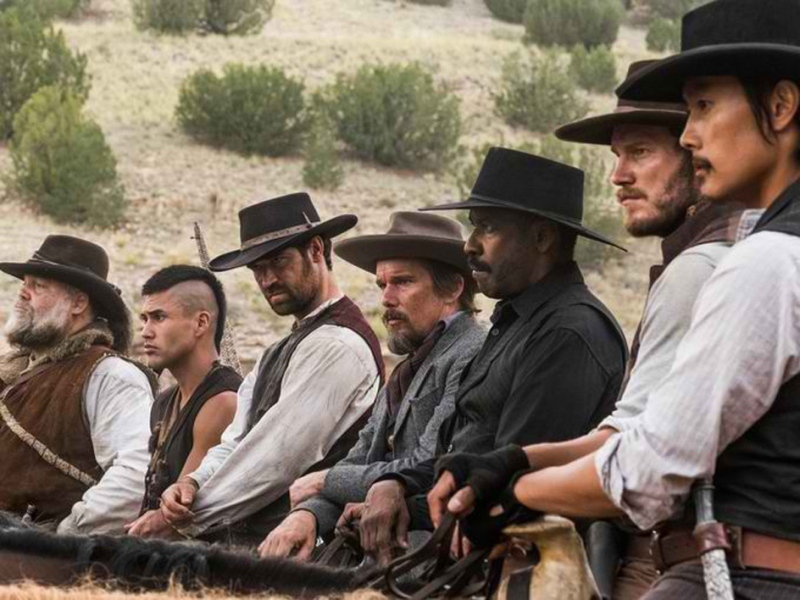 May 11, 2016 – IMAX Corporation, Metro-Goldwyn-Mayer Pictures and Sony Pictures Entertainment today announced that The Magnificent Seven, starring Denzel Washington, Chris Pratt, and Ethan Hawke and directed by Antoine Fuqua, will be digitally re-mastered into the immersive IMAX® format. The film, which Metro-Goldwyn-Mayer Pictures and Columbia Pictures present in association with LStar Capital and Village Roadshow Pictures, will be released into IMAX® theatres worldwide including the Philippines on September 21, 2016 and in the US on September 23. The IMAX® release of “The Magnificent Seven” will be digitally re-mastered into the image and sound quality of The IMAX Experience® with proprietary IMAX DMR® (Digital Re-mastering) technology. The crystal-clear images, coupled with IMAX’s customized theatre geometry and powerful digital audio, create a unique environment that will make audiences feel as if they are in the movie. Director Antoine Fuqua brings his modern vision to a classic story in Metro-Goldwyn-Mayer Pictures’ and Columbia Pictures’ “The Magnificent Seven.” With the town of Rose Creek under the deadly control of industrialist Bartholomew Bogue (Peter Sarsgaard), the desperate townspeople, led by Emma Cullen (Haley Bennett), employ protection from seven outlaws, bounty hunters, gamblers and hired guns – Sam Chisolm (Denzel Washington), Josh Farraday (Chris Pratt), Goodnight Robicheaux (Ethan Hawke), Jack Horne (Vincent D’Onofrio), Billy Rocks (Byung-Hun Lee), Vasquez (Manuel Garcia-Rulfo), and Red Harvest (Martin Sensmeier). As they prepare the town for the violent showdown that they know is coming, these seven mercenaries find themselves fighting for more than money. The film is directed by Antoine Fuqua. The screenplay is by Nic Pizzolatto and Richard Wenk. The producers are Roger Birnbaum and Todd Black. Opening across the Philippines on Sept. 21, The Magnificent Seven is distributed in the Philippines by Columbia Pictures, local office of Sony Pictures Releasing International.